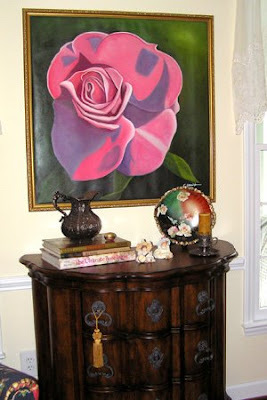 Beverly, http://www.howsweetthesound.typepad.com/ a wonderful rose painting. 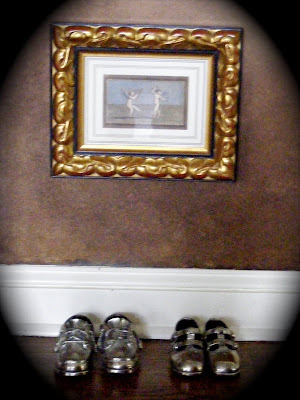 After an exhaustive search for just the right piece of art, Beverly found this painting on ebay, and won it for $0.73! 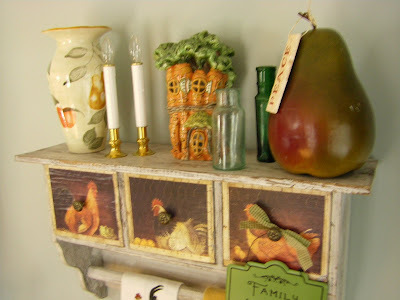 Kathy, a terrific rooster shelf, filled with cute kitchen accessories. There is just something about roosters that speaks to lots of us. Did you catch Beverly's Rooster Parade this week? If not, follow her link above, and scroll down a bit -- great fun! Thank you Mary for letting me participate...it was fun. 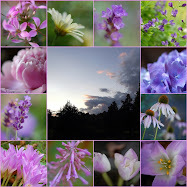 So many pretties...and what nice captions by you !!! Mary, you have done a fabulous job exhibiting all of these special places in your readers' homes. Every one speaks of beauty. Thanks for sharing my pink rose painting. This was such a nice idea, I'd write more but I want to get back to your page and link away! Beautiful rooms. I've really enjoyed these sweet decorating favorites. Be sure to stop by Beverly's again for the 4th and final day of her Rooster Parade...I hope you saw yours marching along...they were so cute. Todays posting is awesome, too. I love your new banner - it's beautiful! I have so enjoyed this! Not to mention hopping over and finding some new to me cool blogs. Look, your plate has that same cool edge that I love so much on my tea saucer! Hey Mary - Love the new header. Did you take that one? Beautiful! Oh my...love them all! The little table and chairs in that setting at a corner sink is completely charming. 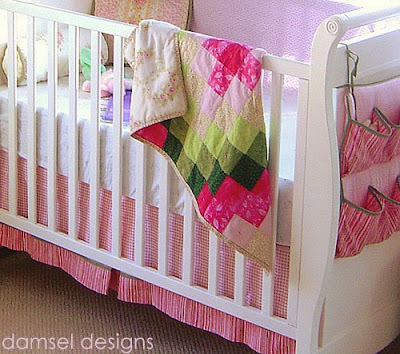 The silvered shoes, the pink and green quilt, the beach shelf...wonderful! And your header is wonderful! I enjoyed all the beautiful rooms Mary. Hello Mary, you truly deserve the community blogger award! This was so much fun. 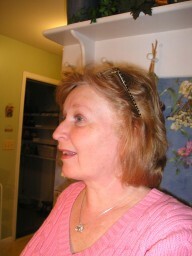 Hi, Mary, I love all these pretty pics! 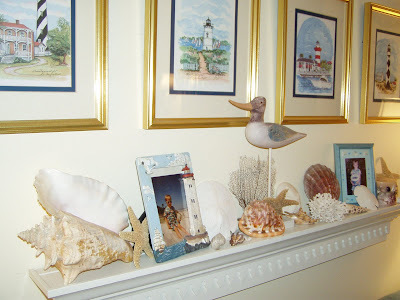 Everyone has done such beautiful vignettes showing off their favorite things. I wish I'd had time to participate too, but I sure enjoyed looking. 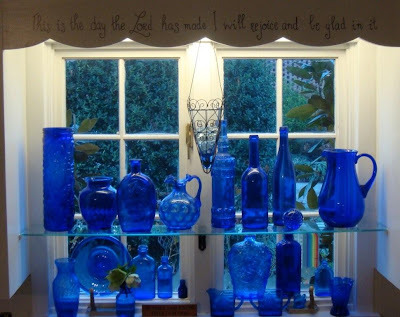 I think my favorite is the blue bottle collection - that and your blue transferware!! Thanks for doing this - it is fun seeing everyone's favorites! Mary, So nice to see what it takes to make a person's heart sing. 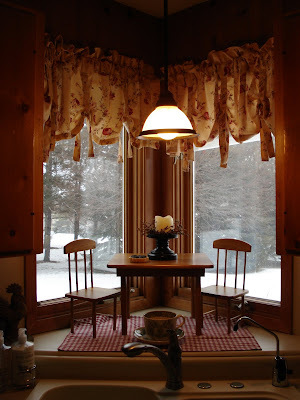 I enjoyed the peek into your reader's homes.